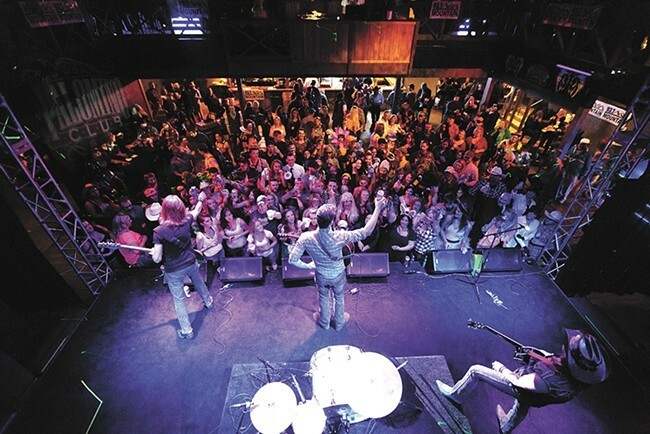 The Palomino plans to focus on larger events moving forward. Early Monday morning, an Eastern Washington University student was fatally shot outside the Palomino in north Spokane. After being closed all week, owner Marc Fechter says the business will reopen Saturday for a birthday party music event that is open to the public. Fechter wasn’t there Sunday night for the All Black Everything party, which brought in close to 500 people, but says he couldn’t be more proud of how his team handled the horrific situation. At this time, the suspects involved in the shooting of 21-year-old Eduardo Villagomez have not been caught. The shooting occurred outside, after the venue had closed at 2 am and people were headed out to their cars. Villagomez died in the hospital after being shot. Fechter says he and general manager Wendy Jordan have received overwhelming support from the community, with people telling them to persevere. However, they chose to close their doors this week to reflect on how to proceed. Fechter says the venue will maintain their high standard of security — using metal detectors, wanding, checking purses and making sure everyone is safe inside. Saturday’s event begins at 8 pm. The next big concert is country musician Keith Anderson Jan. 31. Fechter says they plan to focus on events going forward, rather than being open Wed.-Sun. weekly. Spokane police are advising anyone with information about the incident to call Crime Check at 456-2233.